Cox Carriers is a local family firm offering a Luton van and experienced removals team for hire. We cover both single item removal and full home moves - for both domestic & commercial clients. Our team will ensure your valuable items are protected, packed and transported with the utmost care. We specialise in dismantling, packing and protection of items, and have a wide experience in moving large, valuable and fragile items. We pride ourselves on our high level of service from the diligence and friendliness of our office through to the care of your belongings by our capable staff. 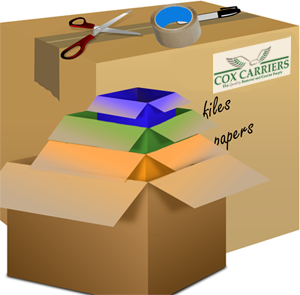 Cox Carriers run a flexible diary service to cater for deliveries and removals to suit customers needs. "Many thanks for your help, we enjoyed having you move our belongings and be pleased to recommend you to anyone else"